Driving lessons from Edinburgh City Driving School will help you pass your driving test. Edinburgh City Driving School use only fully qualified Approved Driving Instructors to turn beginners into safe and confident drivers. We offer great value driving lessons throughout Edinburgh and surrounding areas, and can tailor your tuition to suit your individual needs – whether you need to pass your driving test quickly or take your time. Save up to 30% on your car insurance and become a safer driver with Pass Plus. Find out more. We offer a variety of driving courses including refresher and intensive courses – find out more. 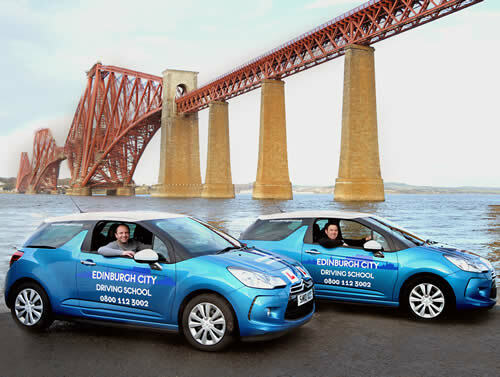 Edinburgh City Driving School is currently seeking fully qualified manual and automatic driving instructors. Call Keith or Richard on 0800 112 3002 for more information.